The High Court today rejected the claim by Mark McCrystal that the Government is using public money to call for a Yes vote – but now the case will go to the Supreme Court. A MAN WHO lost a High Court case which argued that the Government is using public money to call for a Yes vote in the upcoming referendum is to challenge the decision in the Supreme Court. The Chief Justice, Mrs Justice Susan Denham, has set aside time next Tuesday for the case to be heard in the matter of McCrystal versus Ireland. The case has been assigned as a priority as the referendum is due to take place on 10 November. The High Court had this morning rejected the argument by lawyers for Mark McCrystal that the State was contravening the findings of the McKenna judgment which forbids the State from using public money to argue in favour of one side in a referendum. McCrystal is to lodge his appeal notice and papers tomorrow morning. Email “Supreme Court to hear appeal over Children's Referendum using public money”. 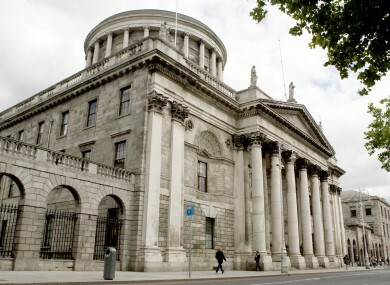 Feedback on “Supreme Court to hear appeal over Children's Referendum using public money”.